Estimated delivery: 30th Aug. - 2nd Sep. 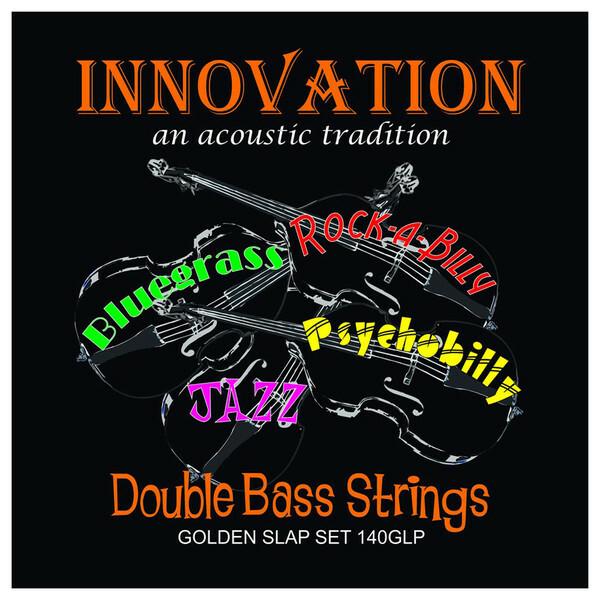 The Innovation Golden Slap Double Bass Strings have a unique, non-metallic core which provides a gut-like tone without the cost or maintenance of gut upright bass strings. They hold their pitch well in climate and temperature changes, and are equally suited for pizzicato (plucking) and arco (bowing). The Golden Slap strings are thicker-gauged strings with low tension and a clear outer winding, and they have a big fat sound with good sustain. The outer winding is softer than metal, so they shouldn't be too abrasive on your fingers, and they're easy enough to get a grip on - even with sweaty fingers. They are also nicely suited for jump swing and blues, where getting a decent volume is usually an issue.